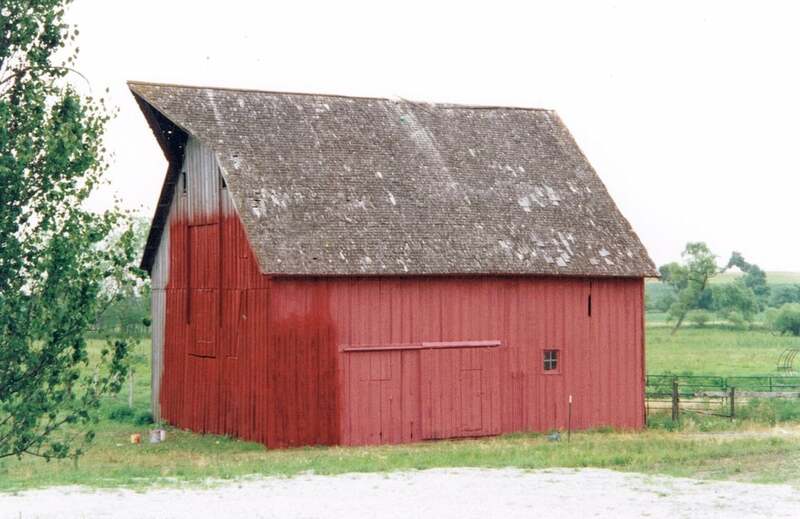 This barn was built between 1895-1905 on a 240-acre cattle and crop farm homesteaded by Frederick WC Luebbe, who purchased the land near Pleasant Dale, NE from the railroad in 1894. Used to milk cows, shelter calves, and store hay, the barn (known as the East Barn) was a focal point of the property, due to its prominent location near the road and down the hill from the Main House. The land is still farmed today by Frederick’s descendants.